For good nutrition, macronutrients are considered to consist of carbohydrates, protein, and fat. 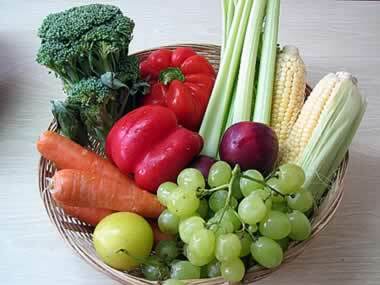 Micronutrients include vitamins, minerals and water. Macronutrients primarily provide the body with energy, while Micronutrients do not provide any energy to the body. Macronutrients consist of carbohydrates, protein, and fat (both Saturated and Unsaturated Fat [i.e., Monounsaturated and Polyunsaturated Fat]). Macronutrients primarily provide the body with energy. Alcohol is, also, a macronutrient nutrient because it supplies the body with calories that are healthy for you when consumed in moderation. This webpage answers the question: "What are the correct dietary ratios for macronutrients: carbohydrates, proteins and fats?" 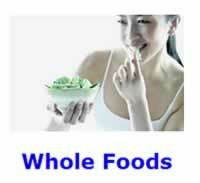 Good nutrition from eating a healthy diet is the foundation of any wellness program. The Goal is to eat the right ratios of the macronutrients at a total caloric rate that will either maintain your present body weight, or achieve your ideal body weight over a reasonably long period of time. TABLE: Dietary Patterns of the Natural Health Perspective Diet. The numbers to the right of the percent sign are footnotes to research references shown below. The ratio of protein, carbohydrate, and the types of fat in what you eat is the key to optimal health. At the macronutrient level, the ratios of the various subcategories of fat are extremely important, whereas subcategories of protein and carbohydrates are of no importance. Since this Web site does NOT recommend an all vegetarian diet, concern over incomplete proteins is NOT an issue. Defect - Consumption at a level so low that the result clearly is Negative. Excess - Consumption at a level so high that the result clearly is Negative. Min - Consumption at a low level where few if any Negatives have generally been reported. Max - Consumption at a high level where few if any Negatives have generally been reported. Carbs - Short for carbohydrates. Protein - Reports, such as in Journal of Nutrition 2000; 130: 2889-2896, of "oxidative stress" in "adequate / low protein" diets are due mostly to clearly excessively high levels of carbohydrates and excessively low fat levels. Up the FAT to a recommended 30% low fat diet and most ''oxidative stress" will disappear with an "adequate protein" diet. Excessive protein in the diet results in excess "Protein Oxidation." The Typical Diet that is consumed widely today, or the average American diet. The Ideal Diet is for, so called, NORMAL individuals who weigh 200 pounds or less and who are SATURATED FAT sensitive individuals. These individuals are susceptible to the adverse effects of Saturated Fat on their blood cholesterol levels. The Modified Diet is for, so called, SUGAR sensitive individuals. These individuals generally weigh more than 200 pounds. They are more susceptible to the adverse effects of dietary sugars than the population of normal body weight is. Most of this table is NOT supposed to add up to 100%. This table quantifies the acceptable High and Low ranges of the specific parts of a diet that characterizes the Natural Health Perspective Diet. You may be tempted to look up your diet in a food database, or with a computerized diet program. Analyzing your diet for its macronutrients is a reliable way to become aware of ones's own eating habits. Analyzing your diet is advisable for Macronutrients, but would be largely inaccurate for your Micronutrients. "This diet is low in saturated fat (< or = 7-8% of energy), with total fat ranging from < 25% to > 35% of energy throughout the region." "The composition of the lipid intake was 36 g of SFA, 61 g of MUFA and 21 g of PUFA with a contribution to energy consumption of 11%, 19% and 7% respectively." "The dietary pattern that corresponded to the lowest mortality rate (27% after 20 years) was: more than 2800 kcal/d (11.7 MJ/d), with more than 41% of the calories coming from carbohydrates, more than 9% from proteins, between 16% and 23% from unsaturated lipids, and between 13% and 19% from alcohol." "RESULTS: Total calorie intake was 2483 kcal (67% carbohydrates, 18% protein, 15% fat). ... CONCLUSION: This descriptive study confirmed the epidemiologic transition of the urban population of Sousse, Tunisia. Increased cardiovascular risk results from high, predominantly carbohydrate, calorie intake." "The intake of polyunsaturated fatty acids should not exceed current intakes, approximately 7% of total energy." "When protein intake is expressed as a percentage of daily energy intake, physically active and sedentary individuals have similar requirements (approximately 12 to 15% of total energy as protein)"
"These quantities of protein can be obtained from a diet which consists of 12-15% energy from protein, unless total energy intake is insufficient." "Healthy male subjects (n = 25) received three different consecutive diets, each lasting 28 days: a low fat NCEP-I-diet, with 28% calories as fat, 10% saturated fat (SAT), 12% monounsaturated (MUFA) and 6% polyunsaturated (PUFA); a MUFA-diet, with 38% calories as fat, 10% SAT, 22% MUFA and 6% PUFA; and a SAT rich-diet (SAT-diet), with 38% calories as fat, 20% SAT, 12% MUFA and 6% PUFA." The 40% fat diet found in Crete is only recommended for those who engage in strenuous physical labor on a daily basis. "Total fat provided 25-37 percent of total energy, with saturated fat contributing 7 percent in Greece, and 8 percent and 11 per cent in Italy and Yugoslavia respectively. The ratio between polyunsaturated and saturated fatty acids (P/S) ranged between 0.39 and 0.45. [i.e., 7 x 0.39 = 2.73% or 3%]"
"Currently, daily intake of PUFAs as >10% of total energy is not recommended. Below this ceiling there is little evidence that high dietary intake of n-6 or n-3 PUFAs implies health risks." "It shows that a high-monounsaturated-fat diet significantly improves insulin sensitivity compared to a high-saturated-fat diet. However, this beneficial effect of monounsaturated fat disappears when total fat intake exceeds 38% of total energy. ... Dietary carbohydrate increases blood glucose levels, particularly in the postprandial period, and consequently also insulin levels and plasma triglycerides. The detrimental effects of a high-carbohydrate diet on plasma glucose/insulin, triglyceride/HDL or fibrinolysis occur only when carbohydrate foods with a high glycaemic index are consumed, while they are abolished if the diet is based largely on fibre-rich, low-glycaemic-index foods." "Healthy, moderately active adults require at least 200g CHO [carbohydrates] per day to sustain normal brain metabolism and muscle function. Moreover, the CHO [carbohydrate] content should represent at least 50% of energy intake."